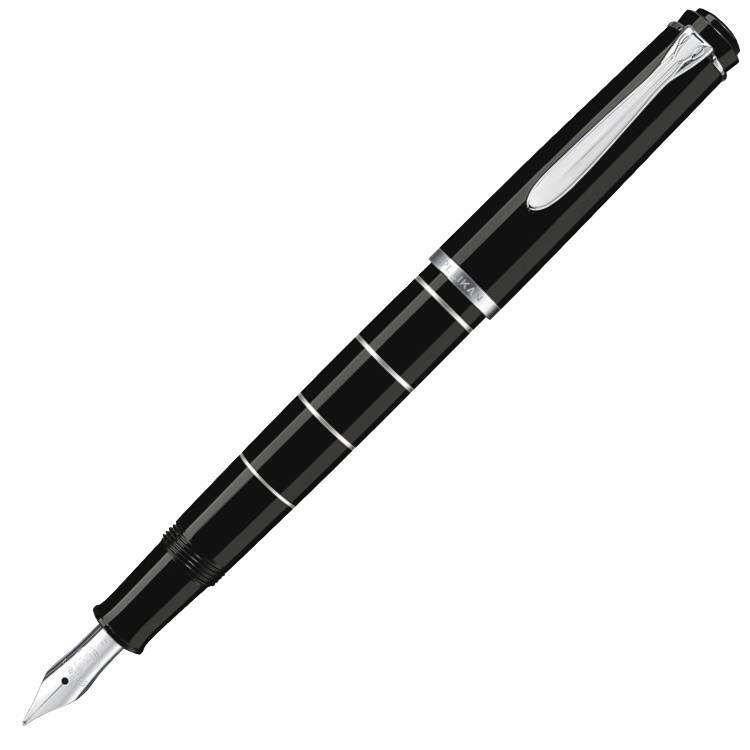 The Pelikan Classic M215 Black – Silver Rings fountain pen features a unique classic design. 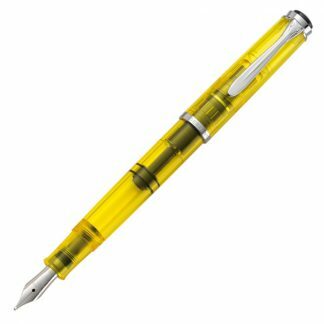 The high quality lacquer finish makes this pen into a luxurious and comfortable writing experience. The Pelikan Classic M215 Black – Silver Rings fountain pen features a unique classic design. 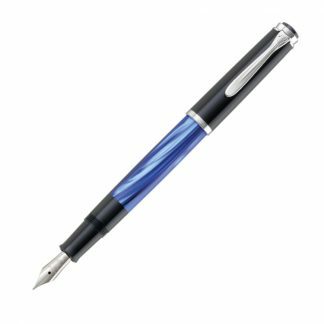 The high quality lacquer finish makes this pen into a luxurious and comfortable writing experience. The inlaid silver rings make this pen a bit heaver than usual so it’s recommended for those who prefer heavier fountain pens.